Generally i thought this problem of using Game Pad for PC Games have been solved but i still recieve complaints from my clients. So i decided o do a tutorial on it although there have been countless tutorials on it, some people don’t get it. Well, this is your lucky day, because tutorials at arotips are known for its simplicity and authenticity. I personally uploaded the emulator i use to emulate Xbox Pad when paying PC Games, when i say PC Games i mean ALL PC GAMES. You are able to add Gamepad Support to the desired game of your choice. Gone are those days the installation of Windows (XP, Vista, 7 and 8) are done using CD/DVD through your CD/DVD Drive. Now there is a new innovation in place, well not that new but just that it’s not that common and it involves using your flash drive, pen drive, hard disk drive to install Windows on your PC. Hint: Before you start anything. You would first of all need a flash drive or pen drive with capability of more than the ISO file you want to install. For example, when installing a Windows 7 ISO file which is 3.5Gb or more, you would need to use a flash drive more than 3.5Gb obviously! Winrar is mostly all about extracting files with .rar and .zip file extensions, Winrar also supports a wide range of file extensions, those two are just the most common extensions. Winrar is mostly used for extracting which can be done in mainly 3 different forms. You can choose with method you want to use but all methods achieve the same goal – extracting the file. If you are really a computer relate then you should have noticed the widespread of archived files over the internet, its spread like wildfire. Almost all downloaded files you download from the internet are either archived files,program files,music or videos. Archived files extensions, that is the .rar and .zip has joined ranks with the other popular extensions exe,mp3,avi,pdf etc. Archived files has a lot of advantages and quite some disadvantages, as they say ‘Nothing/No one is Perfect’. I think the reason for the use of archived extensions like rar and zip is to protect the files contained in it and also because it serves as a compression agent. Extract Files : This is the 1st method of Extraction. All you need to do is Right Click then Click on Extract Files to extract the archived file. This method gives you a chance to choose where you want to extract your file to. You can customize, change some extracting settings and so much more. Experiment with it. Extract Here : This is the 2nd method of extraction. With this method you the extracted file will immediately be extracted in that same folder. Extract To : This is the 3rd method. This method automatically creates a folder and extracts to the same folder. Its similar with the 2nd method but it extracts it to a new folder. How To Extract Multiple rar Files : All you need to do here is Right click on the rar file ending with ‘part1.rar’ and extract (which anyone with one of the 3 extraction method). Winrar not only extracts files, it also recover files,test files,fix broken archives and so on. Fix/Repair Broken Archives : With the presence of a certain level of recovery record % winrar will repair your broken archive. Test Archives : You can also test archives before extracting to know if there are broken or not broken. How to Create .rar or .zip Files : Winrar being a great archiving tool gives you the opportunity of creating your very own rar or zip file. This also helps in compressing the file you want to archive. You can choose the compression ration among other things. This goes beyond Android apps, games and the Platform, Now you can run virtually all mobile apps located on different platforms. Run apps that exclusively for Apple,Blackberry,Symbian,Android and even some Java apps. Well, running of some games are also available, games like Angry Birds etc. Running apps would be in fullscreen resolution and would be fast, just as if it is being run on your mobile phone. Popular apps and games available – Instagram, Pulse, Whatsapp, Angry Birds:StarWars, Evernote, Facebook, Twitter, Tweetdeck, Temple Run and so much more. All this becomes possible through the use of BlueStacks. Now you can run Android apps and games right on your PC, No need to get an Android phone, well u can get the latest Android phones because of the cool new features. 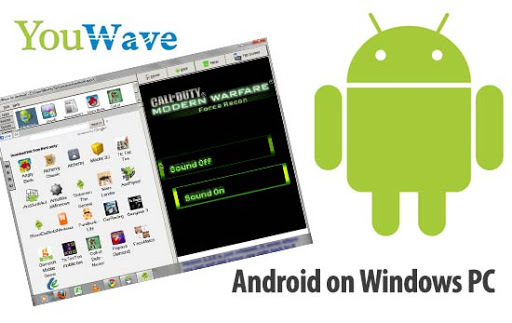 Running Android platform on your computer becomes possible through the use of YouWave. YouWave is an easy to use application which allows you to run android apps on your computer, download thousands of apps online via store within the YouWave application. It runs on High performance thus giving you the fastest way to run android apps and games, also allows for easy importation of apps. It runs on both Windows XP, Vista, 7 – 32/64 bit editions. There will always be a parts to a song which you like very much more than the rest of the song. Some .mp3 files have some good and bad sides in which you may like or dis-like. 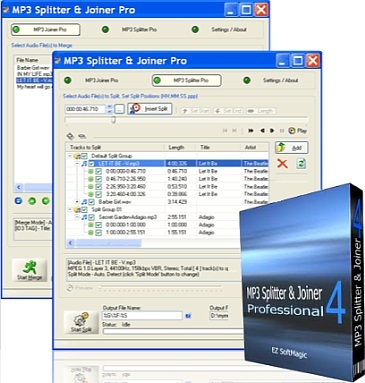 With this tutorial you will learn how to split parts from a .mp3 file or join parts to a .mp3 file. This can be achieved through the use of Mp3 Slitter & Joiner . Its an easy-to-use software which splits files into any specified length, file size,length. Also .mp3 can also be split into different parts then all the parts joined to make your very own .mp3 file i.e you can virtually create your .mp3 files. Have Fun. In your Menu-Bar. Mine maybe different from yours but all the same, its similar. Locate Options Then Change Folder and Search Options, Click on View Tab then Tick ‘Show Hidden Files’ , Click on Apply and Viola. You can now see Hidden Folders.